Offering panoramic views of the Bernese Alps, this spacious apartment is located in the centre of the car-free village of Mürren. Chalet Anemone 2 is furnished in a modern Alpine style and features 2 bedrooms, a living room with cable TV, a kitchen, and a bathroom. The final cleaning fee, towels and bedlinen are included in the rate. Hotel Regina price per day from CHF 65 In a quiet location at 1,600 metres above sea level, the non-smoking, Art Nouveau-style Hotel Regina in the car-free village of Murren is set on a slope across from the spectacular Eiger, Mönch and Jungfrau mountains. Each guest room is individually furnished, while the public areas - a grand dining room, an outdoor terrace, and a spacious winter garden - offer breathtaking views of the mountains..
Hotel Bellevue The Bellevue hotel is located in the centre of Mürren next to the funicular. Fine Swiss specialities and selected wines are served in the Alpine-style restaurant featuring a terrace with panoramic mountain views. Car-free Mürren is a typical Walser mountain village in the Bernese Oberland..
Chalet Schönbühl price per day from CHF 160 Offers a modern kitchen and ski-to-door access, the apartment of Chalet Schönbühl is located 200 metres from the "Schilthorn" Cable Car Station in Mürren. The apartment comes with 3 bedrooms, a flat-screen TV in the living room and bathtub in the bathroom. The Schilthornbahn Bus Station is 200 metres away, while Interlaken is 16 km from the Chalet Schönbühl..
Alte Bäckerei In a historic building dating from 1925, Alte Bäckerei offers a large apartment furnished in an elegant Alpine style, with mountain views and free WiFi. It is located in the centre of Mürren, just 100 metres from the ski area. Hotel Alpenruh price per day from € 86 Situated in the car-free resort of Mürren in the Bernese Oberland, the chalet-style Hotel Alpenruh offers wonderful views of the Eiger, the Mönch and the Jungfrau mountains. Wireless internet is available for free in the lobby. Hotel Alpina price per day from € 78 The family-run Hotel Alpina right in the heart of the car-free resort of Mürren offers you a unique location and spectacular views over the Eiger, Mönch and Jungfrau mountains. 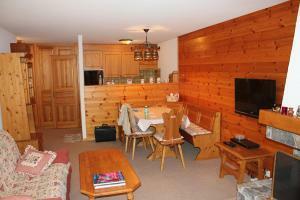 The Swiss-style rooms are pleasantly and comfortably furnished. Savour à la carte menu while enjoying the beautiful mountain panorama from the terrace of the Alpina hotel..
Sportchalet Mürren price per day from € 45 In a quiet location in the centre of the car-free village of Mürren, the Sportchalet is just 300 metres from the ski area. The functionally decorated rooms feature light wooden furniture. Guests can use the swimming pool there free of charge..
Blumental Hotel price per day from € 118 The Blumental is a family-run, chalet-style hotel in the car-free resort of Mürren in the Bernese Oberland and it offers panoramic views of the Eiger, Mönch and Jungfrau Mountains. This traditional hotel offers newly renovated rooms and is an ideal starting point for hikes and excursions to the Schilthorn and Jungfraujoch. The Blumental offers free access to the town's sports centre (swimming pool, hot tub)..
Town of Stechelberg (~1.2 km). 4+ apartments ! Town of Lauterbrunnen (~4.2 km). 44+ apartments, 5+ villas ! Town of Wengen (~5.6 km). 130+ accommodation units ! Town of Zweilütschinen (~8.2 km). 4+ apartments, ! Town of Saxeten (~9.4 km). 4+ apartments !